Doors and windows play a crucial role in room security, be it for your new home or an existing one. Sliding windows are a great way to bring in light to the room. A room with poor lighting distracts people in the house. Changing the doors and windows of your current home to aluminium doors and windows is a great idea to give a new look to the house. The quality that the aluminium doors and windows offer is more than just any other material. For contemporary home architecture and styles, many people prefer aluminium doors and windows. Following are the top 6 reasons to install aluminium doors and windows. Aluminium doors and windows are highly durable than any other material doors and windows. Aluminium is resistant to corrosion and does not rust. Aluminium doors and windows are adaptive to any climatic conditions. Investment on doors and windows require proper planning and research. If you look on to the options available for doors and windows, you can see that aluminium offers the best price when it comes to money. Compared to timber and uPVC, aluminium is cheaper and performs better in the long run. Aluminium windows and doors require less maintenance. The only thing you need to take care of is about some track and runners of the window. You need to clean them out once in every six months or a year, or else you may find it difficult to open and close the windows. By doing so, the doors and windows look bright and shine for a very long time. Many of us love to have an aesthetically pleasing home and rooms. Aluminium plays a crucial role in home decor and aesthetics. You can polish them for different looks and finishes. 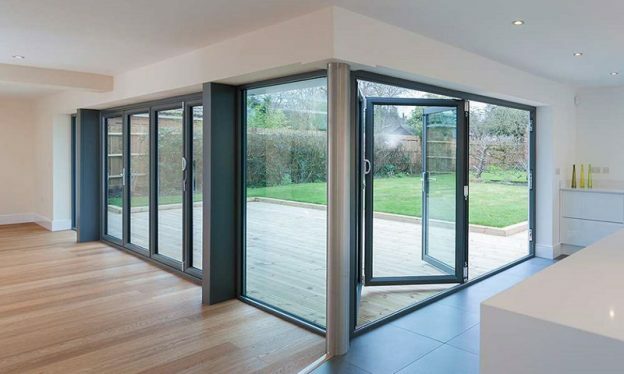 The sturdiness of aluminium is ideally suited for rooms with large doors and sliding windows. One of the best things about installing aluminium doors and windows is that it contributes to effective noise insulation. Compared to PVC and timber, aluminium has higher efficiency rate for thermal performance. An aluminium fabricated window frame exceeds energy standards and achieves improvements in heat gain and heat loss by 60%. Aluminium is an eco-friendly material for house construction and decor. Aluminium has the highest recycling rates when compared to any other metals. Moreover, aluminium helps to save trees. Also, you can replace and recycle your old aluminium frames to new objects which no other metals offer.